While sitting on a university animal welfare ethical review committee, you receive an application to review that proposes a series of experiments to study the effects of social stressors on laboratory housed mice. Some involve observing aggressive interactions in order to better understand the welfare risks for mice caged together in groups. 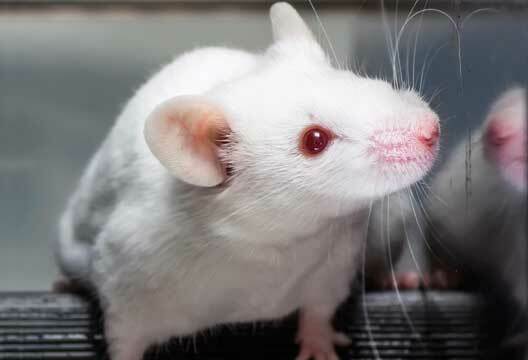 The mice will then be given a series of behavioural tests, which may cause additional stress, for the purpose of identifying effects of social stress on learning and reactions to novel stimuli. Is it ethically appropriate to conduct studies on animals that have the objective to further our understanding of animal behaviour? The legal position is that such studies are in principle lawful. However, legislation is having increasing impact on studies of animal behaviour in the context of the UK legal framework provided by the Animals (Scientific Procedures) Act 1986. Animal behaviour studies are first considered by the relevant university animal welfare ethical review committee in the UK. Whilst non-invasive field studies of animal behaviour are typically given ‘light touch’ review, more stringent criteria are typically applied to laboratory-based experimental studies conducted within animal research facilities. In addition, such experimental studies may require Home Office Project Licence authority, if the procedures involved could cause pain, suffering, distress or lasting harm. Ethical guidance is provided by the 3Rs (Replacement, Reduction and Refinement). However, the goal of Replacement is not applicable to this application. The purpose of the experiments is presented in the context of animal science. In other words, the objective of the project is to study mouse behaviour, so the mice cannot be replaced with human volunteers. Mathematical and computer models first require a solid database, in vitro tests tell us nothing about behaviour, and immature mice and invertebrates would be expected to behave differently. In this sense, studies of animal behaviour seem to have special status. Reduction depends on the adequacy of the proposed experimental designs and the authors’ statistical power calculations. However, judgements about whether Reduction has been achieved also depend on assumptions about effect size, which may be misguided. There is no point at all in running an underpowered study. Refinement can refer to a range of improvements to laboratory animals’ conditions and often pertains to housing. However, the proposed project requires that mice be housed together with other mice likely to injure them. Therefore the possibility of injury cannot be entirely excluded if the study is to achieve its scientific objectives. Choice of species must also be justified in any application for a Home Office Project Licence. This is an aspect of Refinement in that animals in ‘higher’ phylogenetic positions are generally considered to have an increased capacity for suffering. Mice are not the most highly protected laboratory animals. Points of difference in emotionality and cognitive capacities can be argued to justify the demarcation of ethical responsibility in relation to species. Non-human primates, in particular, show compelling behavioural evidence of a variety of cognitive capacities that provide rational justification for high levels of protection globally, in their natural environments as well as in laboratories. Sentience is not a uniquely human attribute and sentientism or using the ability to feel and perceive is seen to provide an important criterion for the level of protection an animal should receive. However, this is dubious from an ethical perspective in that animal experiments may continue or even increase in numbers in species for which such compelling evidence of sentience is lacking. For example, at the same time the level of protection for non-human primates has increased and their use in experimental research has accordingly decreased, the use of pigs in neuroscience research has increased, at least in other countries. The use of pigs may be seen as ethically preferable to the use of primates but their use is likely to remain less acceptable than the use of rats and mice. Hanno Würbel has argued that the use of ‘sentientism’ is formally analogous to speciesism (tinyurl.com/hdjknrw). Indeed, the majority of judgements of sentience are clouded by prejudice based on species: for example, pigs are widely perceived as intelligent emotional animals. Whilst a high proportion of individuals may empathise with pigs as well as primates, for many empathy breaks down with pest animals such as mice. Walt Disney claimed to love Mickey Mouse more than any woman he had ever known, but house mice are generally not so well tolerated. So where does this leave the application to study social stress in mice? If ethical permission is granted, should this be subject to Home Office Licence authority being granted? What kinds of control measures to minimise the impact of the study on the animals would you wish to see (while still ensuring that valid experimental results are obtained)? With respect to choice of species, if such a laboratory study would not be acceptable using non-human primate subjects, should it be permitted using mice? On the other hand, how would an unfavourable judgement from the ethical review committee sit within the human social environment, in which mice are routinely exterminated as pests? Evidence for mouse sentience should ultimately improve things for mice as a species, albeit at the expense of the mice to be used in the proposed experimental studies. If ethical permission is not granted in this case, could this preclude important advances in the understanding of mouse sentience? To the question about intentionally causing suffering to sentient organisms of any species I will not respond formalistically or legalistically: All decent people know it is wrong to hurt unnecessarily. The rest is down to what is necessary. There is potentially life-saving research, and there is curiosity- or career-driven research. In potentially life-saving research that causes ‘pain, suffering, distress or harm’ there is a conflict of vital interests between the experimental victims and the beneficiary species. Let us set such research aside for the moment and just ask about the vast majority of research, which is not potentially life-saving but curiosity- or career-driven. There I would say biological research, ‘animal science’ or what-have-you diverges radically from the ‘material sciences’, whose experimental subjects are insentient. There is no moral justification for harming sentients in the service of the curiosity or the careers of members of our species. We are not talking here about the extermination of ‘vermin’ whose vital interests are in conflict with vital human interests. We are talking about sentient victims, purpose-bred by humans to be exploited for human interests, vital and non-vital. In the context of psychology (as opposed to, say, oncology) the probability that most research will be life-saving or suffering-reducing is so low that it is just as misleading to pretend that is what is at stake as it is to invoke the ‘other-minds problem’ (Harnad, 2016) to suggest there is any bona fide doubt about whether mammals, birds or fish can suffer. Even with invertebrates (Klein & Barron, 2016) the benefit of the doubt is on their side (leaving only the ‘vermin’ rationale as the justification for harming them). Even vegans (like myself), eating only insentient plants, would be guilty of ‘speciesism’ if species bias were their rationale, rather than just the conviction that it is wrong to hurt (sentients) unnecessarily. When I first worked in laboratories, psychologists were doing some horrible experiments on non-human animals – pits of despair, strong electric shock, extreme fear, crude brain damage, sensory deprivation and severe unavoidable pain. The horrors I saw in America were often worse than those in Britain. I reacted by becoming a clinical psychologist in Oxford and, from 1969, I began to campaign for reforms, which culminated in the current Animals (Scientific Procedures) Act of 1986. Those brought up with pets tend to care more for animals and, as a boy, I had shared my bedroom with capuchin monkeys! Gradually the whole animal rights issue came out into the open again and in 1970 I formulated my idea of speciesism to describe a depressingly common prejudice that is no better than racism or sexism. Like racism and sexism, speciesism tries to permit huge moral (and legal) distinctions based upon morally irrelevant differences (such as size, lower intelligence or mere species-difference). Do we think we can morally give lesser rights to less intelligent or smaller humans? I hope not. What, then, is so magical about the species boundary? There are many cases where primate species have interbred and produced viable offspring. Have humans tried this? If it worked, would the offspring be put in a cage or entered for Eton? Apparently we are already hybrids with the Neanderthal species. Those brought up with pets tend to care more for animals and, as a boy, I had shared my bedroom with capuchin monkeys! Gradually the whole animal rights issue came out into the open again, and in 1970 I formulated my idea of speciesism to describe a depressingly common prejudice that is no better than racism or sexism. Like racism and sexism, speciesism tries to permit huge moral (and legal) distinctions based upon morally irrelevant differences (such as size, lower intelligence or mere species-difference). Do we think we can morally give lesser rights to less intelligent or smaller humans? I hope not. For me, X amount of pain in a mouse or a machine or a Martian matters equally with X amount of pain in a human animal. It is the pain that matters, not the type of individual it inhabits. Causing pain (broadly defined to cover fear, loss of liberty, etc.) to others is the basis of all wrong. I call my moral theory painism where the only wrong is causing suffering to any other being whether it is an alien, or a machine, or a human or non-human animal. All such sentient beings are by definition persons and are parts of our social and political communities: it is high time that the moral implications of Darwinism are accepted and acted upon. Psychologists do tend to show good empathy and we claim to have some expertise about such issues as pain, distress and behaviour generally. So we are in a particularly good position to help all other sentient beings morally, legally and politically. - Dr Richard Ryder studied Psychology at Cambridge, Columbia and Edinburgh Universities and was Mellon Professor at Tulane. His first book was Victims of Science in 1975 and his last book on ethics was Speciesism, Painism and Happiness (2011, Imprint Academic). The ethics surrounding choice of model species is a general issue fundamental to animal behaviour. As someone that has conducted upwards of 80–100 reviews of papers submitted for publication in the journal Animal Behaviour, with the specific remit of focusing on the ethics of the study, I have grappled with many of the questions raised in the article. Concrete issues such as husbandry, including the eventual end-point of the subjects, are in many cases an issue of low-hanging fruit, and first on the list of any ethical committee worth its salt. Nevertheless, if we move beyond these questions and past concerns of statistical power and experimental design, complex philosophical questions need to be addressed. In many ways, the concluding remarks by Cassaday are probably a decent indicator of where the scientific community resides on the matter. Simply put, ethics are not black and white; therefore, whether a project of work should receive institutional approval, is not necessarily the same thing as satisfying the ethical standards of a scientific journal. In recognition of the shades of grey under which journal ethics committees operate, the title of the documentation detailing the ethical standards adopted by the owner of Animal Behaviour, the Association for the Study of Animal Behaviour, are the ‘Guidelines for the treatment of animals in behavioural research and teaching’ (www.asab.org/ethics). Under the umbrella of the guidelines, submissions to the journal Animal Behaviour must state that the ethical standards of the journal have been met, and a suitable ethical statement with sufficient detail added to the text of the paper. The content of these statements more often than not refers to the institutional approval number under which the work was carried out; nevertheless, about 10 per cent of submissions lack sufficient clarity and are sent for ethical review. What follows the decision to subject a paper to ethical review is a dialogue between the authors, the editors and the ethics reviewer(s); crucially, my experience of the process is that this discussion proceeds independent of the details in the licensing under which the study was originally approved. We have progressed beyond the promises made and conditions accepted at an institutional level, and we are now in ‘we are where we are’ territory. Each study I have reviewed has presented its own unique set of challenges necessitating an approach tailored to its own merits. Given this, my approach to animal ethics is not to stratify the model of choice in terms of pest versus pet. My estimate of the value, or at least the potential value, of the study to science, the species and to society form part of a complex starting point. To return to the original dilemma, I imagine my participation on any university welfare panel would be directed by consideration of this starting point. The ethical dilemma concerned the study of social stress in mice, but these were laboratory mice bred for human purposes of use in biomedical research. In his response, Stevan Harnad suggests that the probability that psychology research of this kind will be life-saving or suffering-reducing is low and this may be a further debate to be had. It will be challenging to demonstrate a direct link between a single piece of psychology research and the saving of a human life. However, psychologists should be the experts on suffering and its alleviation, for other animals too. In terms of what we have already achieved, behavioural therapies are grounded in a body of work that identified the principles of animal learning and are used for managing problematic behaviours in companion animals as well as providing a cornerstone of contemporary CBT. Indeed, although he is clearly against further experimentation, Richard Ryder makes the point that psychologists with an understanding of pain, distress and behaviour are potentially in a strong position to help other sentient beings. So others may take the view that psychology is a discipline well placed to alleviate suffering, both animal and human.